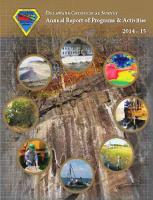 Delaware's water, both ground and surface, is one of its most important natural resources. It is essential for meeting the needs of all segments of our society and for maintaining economic growth and agriculture. At this time all water used for public and domestic supply and more than 98% of water used for irrigation south of the Chesapeake and Delaware Canal is ground water. North of the canal, approximately 70% of public water supplies are obtained from four surface-water sources (creeks) and 30% from ground-water resources. Hydrologic investigations are fundamentally important in aiding policy decision makers. 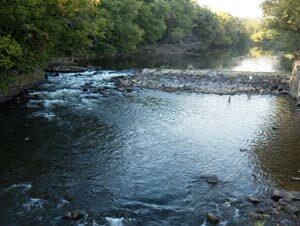 As Delawares' lead earth science agency, the Delaware Geological Survey provides information to inform and educate resource managers and the public to better understand and manage our water resources. 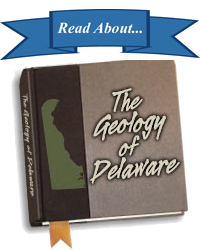 The Delaware Geological Survey, by statute, manages and provides liaison for all state-federal projects related to the DGS-USGS Joint-Funded and Partnering Programs. Water levels available on this page were measured in monitoring or observation wells by staff members of the DGS, other state agencies, and the USGS. For a few wells, water levels were measured by employees of the consulting firms. Users should be aware that all data records have been checked by DGS staff; however, they are subject to revision. If you have questions or require additional information about the wells or measurements, please contact the DGS through the address at the bottom of this page.